Monarch specimen from UOG insect museum butterfly collection. The iconic monarch butterfly is known for its annual migration from Canada and the US to Mexico where they overwinter then fly north again in spring. University of Guam (UOG) entomologists Aubrey Moore and Ross Miller facilitated a recent visit from a trio of researchers interested in studying the island’s monarch butterflies hoping to answer some questions that may help unravel stateside monarch migration mysteries. Hugh Dingle, professor emeritus with UC Davis is a preeminent scholar of animal migration with a keen interest in birds and butterflies. He is author of Migration: the Biology of Life on the Move published by Oxford University Press. “The isolation of monarch butterflies on Guam and the fact that they do not need to migrate makes them highly interesting to study,” said Dingle. UC Davis graduate student Micah Freedman accompanied Dingle. 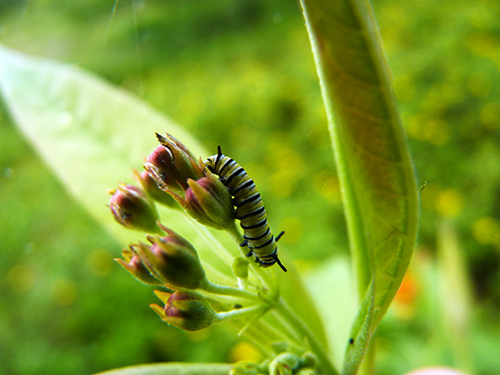 They spent a week on island stalking the butterflies and their food source, milkweed. 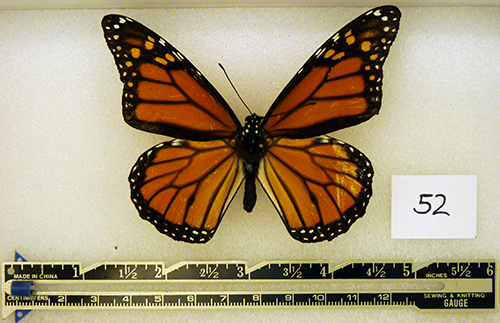 They were also interested in looking at monarch specimens in the UOG insect museum currently housed in a storeroom on campus. 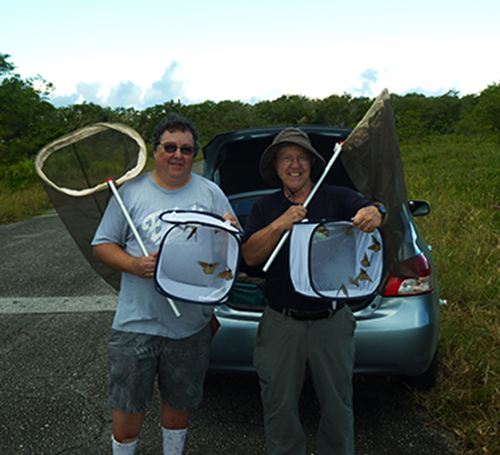 Dan Fagin and Hugh Dingle collect monarchs on Guam. The two entomologists were joined on Guam by Pulitzer-Prize winning author and journalist Dan Fagin, the director of the Science, Health and Environmental Reporting Program at New York University. Fagin is currently writing a book for Random House about the plight of monarch butterflies in the US. Fagin finds the monarch dilemma a salient example of how the increasing human population is having an increasingly damaging effect on biological diversity on planet earth. According to the Center for Biological Diversity, the population of monarch butterflies in the US has declined by 90 percent over the past 20 years. They attribute the decline to the increase in pesticide use and crops genetically engineered to withstand repeated applications of herbicides. One of these herbicides, glyphosate, is a powerful killer of milkweed; the plant monarchs depend on for their survival. William Safford recorded the milkweed plant, a medicinal plant from the Americas, as growing on Guam in his book Useful Plants of Guam published in 1905. The first recorded incidence of monarch butterflies on Guam was by Otto Herman Swezey in his 1942 book Insects of Guam. When he visited Guam in 1936, he found that both the butterfly and its host plant were very abundant. Dingle and Freedman’s Guam research, funded by a Emeritus Faculty grant from UC Davis, involved measuring the wingspans of Guam monarchs to determine whether there has been an evolutionary decrease in size or shape due to their migration-free lifestyle on the island. They also collected leaves from milkweed to test for toxin levels of cardiac glycosides. To detect the presence of a protozoan parasite, Ophryocystis elektroscirrha, they took samples by swabbing butterfly bodies. The parasite lives on the host plant and infects the butterfly larvae that feed on it, lowering the survival rate of the butterflies. The collaboration of UOG scientists with researchers around the globe keeps Guam in the forefront of cutting-edge research and discoveries.